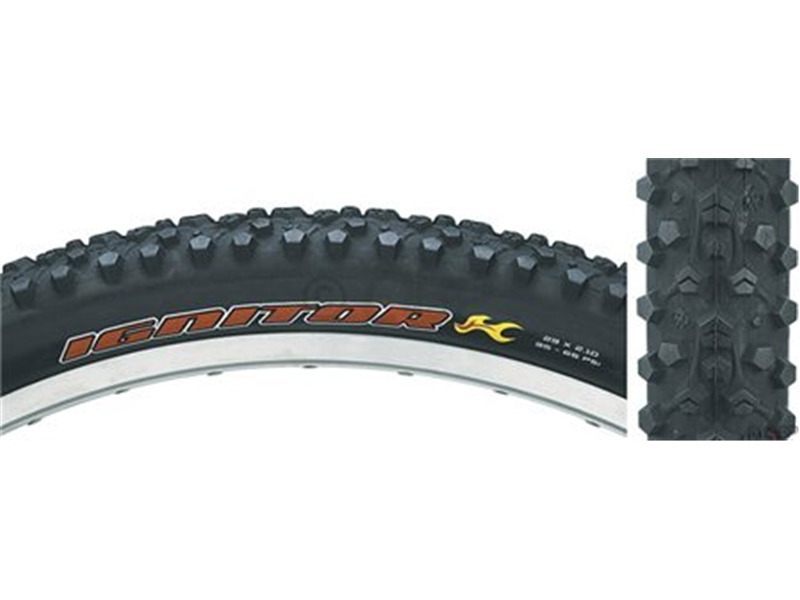 The Ignitor tread pattern was designed for the most discerning professional racers and already has laid claim to multiple World Cup victories. I too have just discovered a blistering problem. Won't buy again. Very poor quality, I have had two of these blister after very minimal use. I had one blister after maybe 200 miles. LBS said Maxxis would not replace. So I bought another. 2 months later another blister. Not safe to ride. I will never buy another Maxxis. I love riding these tires. They have always hooked up well and seat perfectly on UST rims. I've ridden these tires, converted, since before the UST version. The problem is, enough is enough. I have owned a shop for the past three years and I've had at least five fail with blistering. Some warrantied, some not. Some with sealant, some not. If after several years of trouble with these tires Maxxis can continue to ignore and/or deny the problem, they absolutely do not deserve anyone's business. Grip on Front. Have yet to have them wash out on me. Seals great on Mavic Crossmax ST's. Unless you can find it on sale somewhere-PRICE. Hense the low value and overall rating. I live in Michigan, so most of the trails I ride are loose over soft and roots. I have yet to havve these wash out on me in two years. 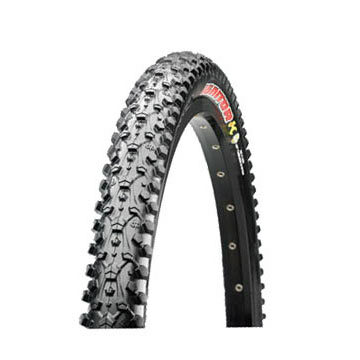 Used on both my FS and HT, I think I will make these my "go-to" front tire. I run it at around 30 PSI. I like it better than the Nevegals, and IRC Mythos that I have used in the past. Low rolling resistance, and pretty good wear(granted, its mostly soft stuff). A little tight getting them on my Crossmax's, but they have not lost any air in 2+ months. Worked fine when it was new on trips to Sedona and Moab. It bubbled in 5 places after sitting for the winter. No sealant. Looking at other boards this is a delamination and a product flaw. Great grip, continous tread, fairly light. First off let me say that I do not believe this tire would be good mounted on the back wheel. 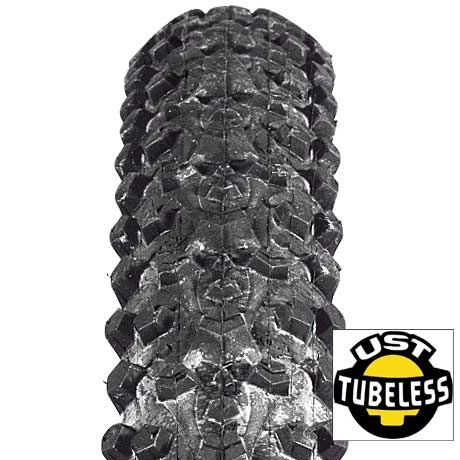 I have seen some bikes with it on the rear, it doesnt provide an optimal tread pattern for a rear tire. That said, these things are beasts on the front! The lateral grip you get on these tires are amazing. You can push harder and faster into the corners. They have a very wide tread patter (2.3 UST model mounted) and they work very very well! 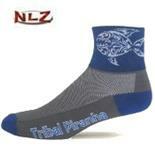 They have a very sturdy sidewall, and provide a lot of confidence! 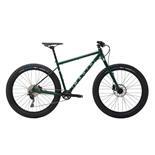 My current configuration for tires is Maxxis Ignitor LUST 2.3 front and Maxxis Larson TT UST 2.0 rear and it seems to be a pretty solid setup for AM/XC. 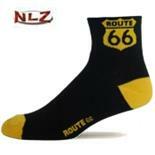 They are not the lightest tire on the market but they do provide tons of grip and last a long time! I am going to change over the rear to a Crossmark UST 2.25 for a rear to see how that combination works, but I am sold on the Ignitor LUST, they perform great, just not meant for tarmac (road) at all. 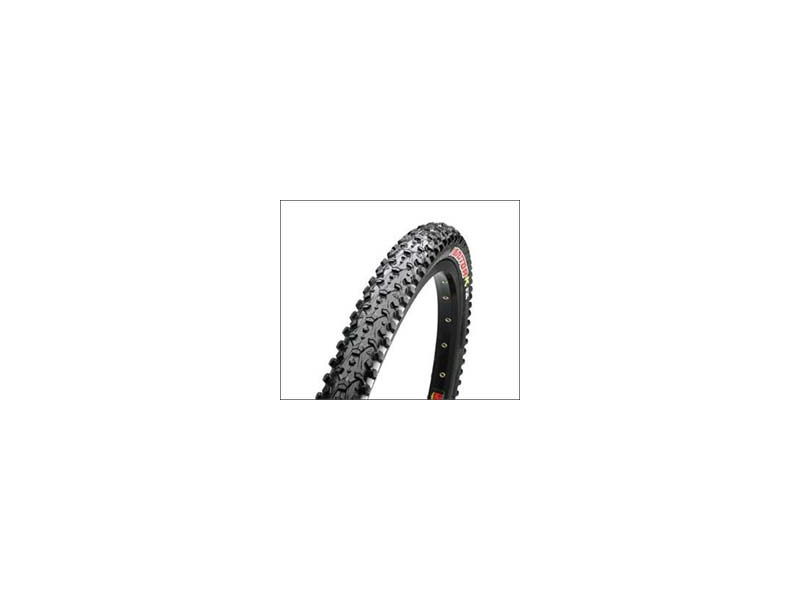 these tires are good for XC, roll well and accelerate nicely. But not good for all mountain or rock gardens if your bombing. I blew a hole in the middle of the tread on my first ride on anything that could be considered all mountain (culvert trail at Auburn). Would be good race tires for XC. But I'm going to something else for the fall/winter all mountain goodness. Maybe back to nevegals as I miss the braking power with those and the width. Pretty skinny for a 2.35 and doesn't grip as well as the previous Nevegal 2.35 I was running. Recently rode at a ski resort with some rocky and technical downhill with some wet spot. This tire didn't brake worth a dang when it got a little slick or wet...it would just skid. Definitely would prefer more tread on the back and a wider tire for very aggressive riding. Not my favorite tire. Needs to be wider and not enough grip for my taste. I'm writing this review after taking the tires out once. I ride in the wissahickon (b/c it is in my backyard)- this year it has rained so much that everything is eroded and washed out- you largely have loose technical uphills b/c of all the rain. I bought this tire after the sidewalls on my panafire busted. It has rained for three days (5 inches in that time) and I took these out for the first time. I'm using a 2.1 on my back wheel. They consistently preformed better than my panafires in my usual trouble spots. Where I was usually spinning out on a dry day... I was hooking up with these on a wet slippery day. This tire is like old jenny smith from highschool... she hooked up with everyone and these tires provided great traction whenever I pushed the pedal down. run these tires low and you'll be happy. Use in loose rooty conditions. 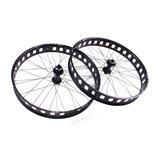 If you like panafires - these are better- lower rolling resistance and great traction.